OTTAWA -- The new department of Indigenous Services has an unusual long-term goal: Its own eradication. "This department should disappear over time," said deputy minister Jean-Francois Tremblay as he and Minister Jane Philpott unveiled Tuesday the plans and priorities for the new department. It was established less than two months ago as the government split Indigenous Affairs into two parts -- Crown-Indigenous Relations and Northern Affairs to handle treaties and land claims and Indigenous Services, to oversee programs in health, education, infrastructure and child welfare. Philpott said "Indigenous peoples want and need control over their lives" so the focus of each service area is to eventually provide funding to Indigenous organizations who can then manage the programs themselves. Once that happens the need for an entire department would be eliminated. Among the first steps towards that goal will be putting in place 10-year funding agreements with up to 100 First Nations by April 2019 and eliminating or amending "regressive policies" like third-party management, where band governments lose control of their finances when Ottawa deems them to be too far in debt to be able to manage on their own. The department will also overhaul the reporting structures that sometimes require each First Nation to file more than 100 financial reports with Ottawa each year, reports which have sometimes gone onto shelves without ever being read. "I want to be very clear in this, we're not talking about no reporting. We're talking about better reporting," said Philpott. "It's a matter of what is reported and to whom it is reported. NDP Indigenous affairs critic Charlie Angus said Philpott is saying the right things but thus far her government hasn't stepped up with the money. Later this week, Philpott will host an emergency meeting about Indigenous child welfare with provincial governments and Indigenous leaders. She repeated Tuesday her claim that Canada's child welfare system is a "humanitarian crisis" with Indigenous kids taken away from their families and put in foster care at alarming rates. While Indigenous children make up eight per cent of kids in Canada, they account for more than half of the kids in foster care. In some provinces, like Manitoba, it's 90 per cent. The Canadian Human Rights Tribunal ruled in 2016 that Canada was consistently discriminating against First Nations children on reserve by not funding child welfare programs at the same level as programs for non-Indigenous children. However, Ottawa has not increased its funding enough to meet the tribunal's orders. By delaying the funding over the last two years, Angus said the government has "saved $300 million on the backs of children who have ended up in care, on the street or dead." The government is "the ultimate dead beat dad of Confederation," he added. Unless and until Ottawa ponies up the money to bridge the gap so kids can get help before they have to be taken away from their parents, Angus said nothing is going to change. Philpott acknowledged the discrepancy in funding and said there will be more money in the upcoming federal budget. This week's emergency meeting in Ottawa will look at alternative ways the systems could work as well as how to fund those ideas. Philpott did not shy away from the statistics that show the mountain her new department has to climb is a big one. "It doesn't help anybody to be in denial," she said. Indigenous Canadians have a life expectancy that is 15 years shorter than non-Indigenous Canadians, while the infant mortality rate is two to three times as big. High school graduation rates on reserve are half of that off reserve, rates of diabetes are four times as high, overdose deaths in B.C. and Alberta are three times as high for First Nations and for the Inuit, tuberculosis rates are 270 times higher. 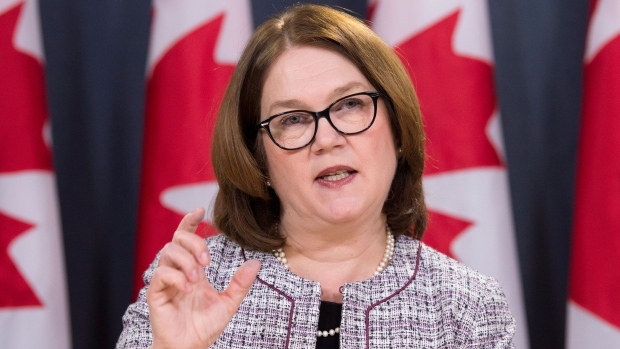 Philpott said the department, along with the Inuit Tapiriit Kanatami, will unveil in March a plan to eliminate tuberculosis in the Inuit territories. She also said the government is on track to eliminate all the long-term boil water advisories on reserves, saying there are 91 in place now and there is a plan to get that to zero by 2021.